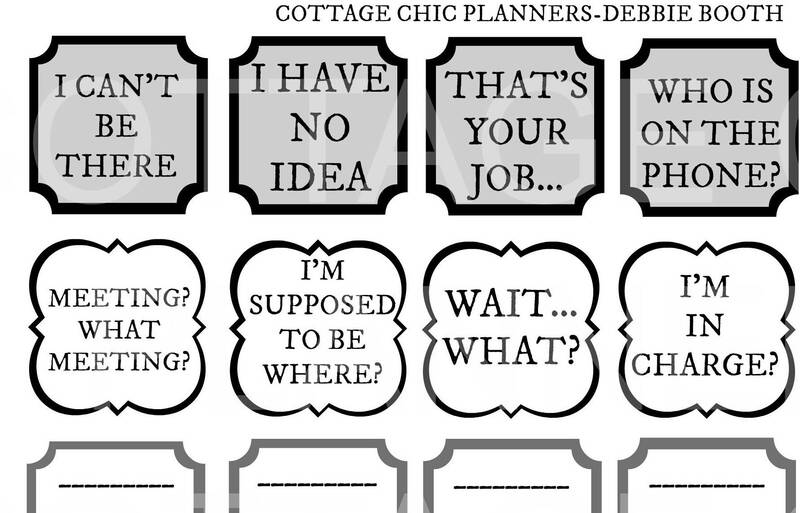 Irresponsibility Print and Cut Sticker Sheet - 8" x 10"
This is a fun sticker sheet printable. When downloaded, watermark will not be on file. For someone who has a sense of humor this is for you! While working in a very high paced, high powered environment, our boss told us NEVER to say I have no idea, or not look up when a customer walked in, not take responsibility, etc. Being a workaholic all my life I have always been intrigued by employees who are lethargic, lazy and always late for meetings. I started laughing one day thinking of all the comments I have actually heard while working in an office. These little sticker squares are just for fun. They do not target anyone in particular. They are meant to bring a little chuckle to your every day world. What is included? 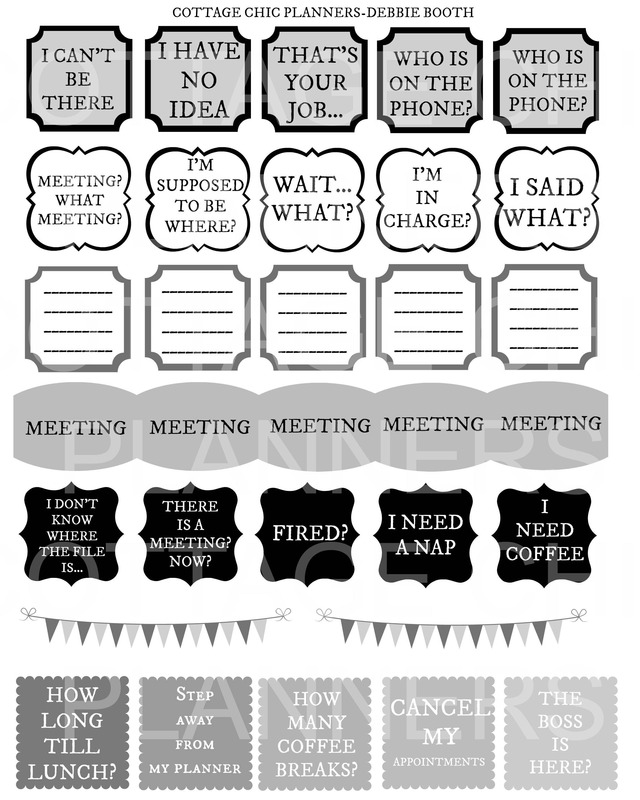 A printable sheet, once printed out onto full sheet sticker adhesive paper or regular card stock, cut designs out, square or rectangle and used in planner, Travelers notebook, or hand one to a co worker or more. Can be printed out multiple times on white, cream, or even colored card stock. -I'm supposed to be where? -There is a meeting now? hahaha do you get the picture. Everything an employee shouldn't say! I'm a planner girl and love wonderful things in my planner. I'm very intentional about what goes into my planner. These always bring a smile to my face, and that is the purpose behind creating them. The measurements are not intended for a certain planner but can be used in any planner. I myself use Carpe Diem, Webster's pages, Kikki K. and Travelers Notebooks primarily. 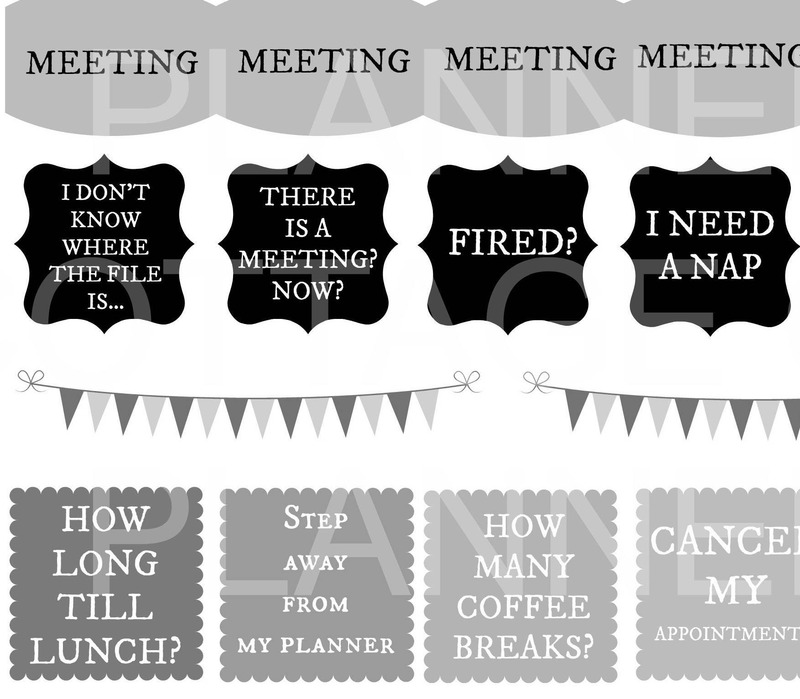 These graphics have high resolution and also are simple to use for your daily planner or Do It Yourself pad. I like to use them plain or add to them and make them stand out in my planner. Here are some ideas of what I do. Simple little things that just add to them visually.